There is an old wive’s solution for bad breath and slightly stained teeth, which is vinegar. There is some truth to this concept due to the acetic acid that can kill bacteria that causes bad breath, and it may also help break down stains. 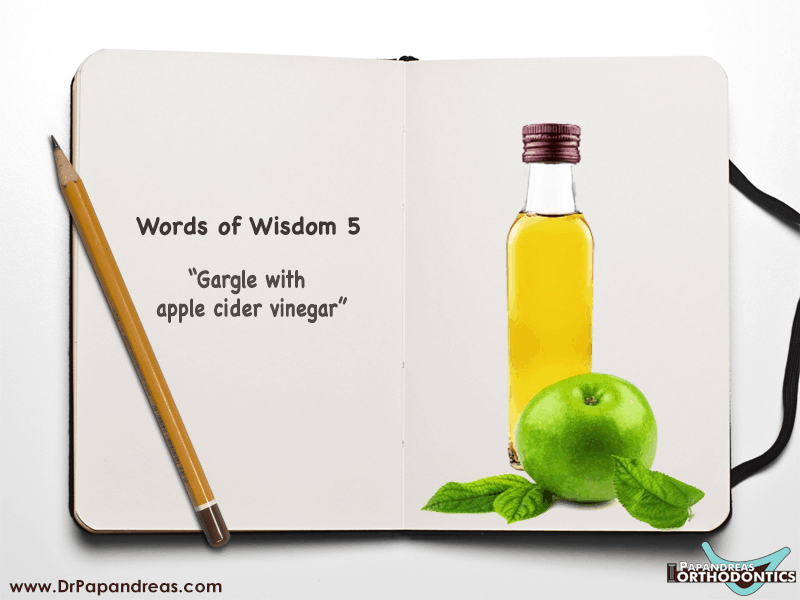 Keep in mind that a knowledgeable oral specialist will recommend that you dilute raw apple cider vinegar and use it sparingly, because it is acidic. There is no doubt that oral health has been part of the human culture for some time. The importance of oral appearance is natural; for instance, did you know that people subconsciously judge you based on the condition of your teeth? Yes, teeth that are not maintained can reveal poor hygiene habits or a poor diet. Flaws in a smile are also judged subconsciously but in a different way. For example, people with misaligned teeth, overbites, or underbites might be seen as individuals with genetic issues. Of course, flaws like the ones mentioned are not always associated with a genetic flaw but rather a bad habit like thumbsucking or even tooth grinding, but the subconscious mind judges anyway. This is an innate reaction that probably helped human beings find healthy partners. Thankfully, no one has to live with an orthodontic issue. Your orthodontist has several tools at his or her disposal to help rectify any possible issue you may have. Braces and invisalign are designed to help restore the natural form of your teeth, but they do so in different ways. This orthodontic device is permanently situated on your teeth until the procedure is complete, which could take a few years. Braces work for both severe and mild issues. The invisalign aligners can be removed whenever you want and are practically invisible. The only issue is that they may not be able to deal with severe cases. You can call Dr. Papandreas’ office in North Royalton, Oh., to see how an orthodontist can help you get that perfect smile.